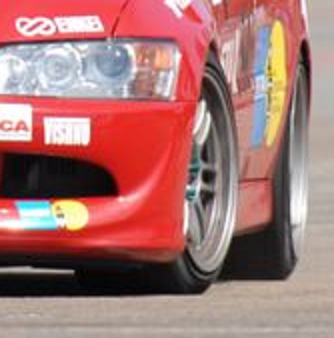 PCA SDR • View topic - Tire Pressures ?? Experts, please enlighten the rest of us. Watching NASCAR, for example, they talk about making half pound or such adjustments to cure all sorts of oversteer, understeer and other handling problems. 1/2 pound. Honestly, gimme a break. Question: just what air gauges are they using?? None of these gauges give the same reading, at the same time. Even my pencil stick gauges give different numbers. Same. None. Just what units do the NASCAR (and other high end racing series) use to measure and adjust to such as: 1/2 pound per adjustment? It doesn't matter what they read, as long as they read the same each time. 40 lbs or 20 lbs readings don't mean anything as long as when you add a 1/2 pound they read 40.5 and 20.5. Never change gauges! Also, a very different sidewall to get that much change from 1/2 pound. I thought I was going to have to adjust my roll bars to get back to neutral, but decided to drop rear pressure back down to 30 hot and see. They got up to 31 at the end of the second practice run, but it transformed the handling and I got my best time of the day (1:10:76). For timed runs I dropped them back to an indicated 30psi hot, but wasn't able to go that fast again (best was 1:11:08)... but I over-cooked my last run and hit a cone, so who knows. Point is, increments of 1 psi seem to make a significant difference even at this level of competition (and driver skill, or lack thereof). As Jad said, the absolute number isn't nearly as important as the delta. Funny you should mention Sunday. My rears got to 40-42 lbs hot (up from 35 cold) and I was sliding (oversteer) all over the place; terrible times. But - looking at the sidewall rollover I was reluctant to let more air out. I'll re-think that decision "next time" around. Not to mention trying to be more judicious about using the gas pedal. Jim you are looking at only a tiny part of the equation. I changed my tire pressures in my silver Boxster a total of 3 psi for the day and it made a huge difference. This is a very stiff and heavy car on "Optimized" 200 tread wear tires and fully adjustable suspension. Two pounds of tire pressure at this level makes a huge difference. Your street car has much softer side wall and not enough camber and too much body roll. Your sidewall roll over was more likely body roll, not collapsing side wall. But if it feels great on lap 2 and you are the drift king on lap 4, you need to bleed off 2 psi. Beyond that, If you really want to find the correct pressure for your set up you need to add a tire temperature gauge and an assistant to your bag of tricks. Higher pressure = less contact patch. Lower pressure = more contact patch. Basically, you want to run the lowest tire pressure that doesn't sacrifice something somewhere else, because all else being equal, more contact patch is better. Side note: Sometimes somebody goes back to a simplified version of high school physics and says that contact patch size shouldn't matter, because by that simplified model, the amount of force required to slide a mass across another mass depends only on the coefficient of friction, and does not depend on the size of the contact patch. That's true to a first level approximation in ideal lab conditions, but doesn't hold up to the real world, where you're driving across rough asphalt using a tire which is not only grooved, but which flexes before it breaks loose, and because it flexes, it's possible for parts of the tire to break loose while others have traction. Ever hear a tire squeal while it doesn't break loose? That's part of the contact patch breaking traction while the rest of the contact patch grips. If we had pumped those front tires up to 38 psi, we probably would have straightened that sidewall out quite a bit, but we would have been slower. and the normal force pushing the surfaces together. Frictional Force = Coe of Friction * Normal Force. pecivil wrote: and the normal force pushing the surfaces together. Right, I was leaving out the gory details. The normal force is important as well, and explains why you get more grip in on-camber turns, and why the outside tires grip more than the inside tires. My point was just that the equation as given in basic Physics classes is a very simplified equation which ignores the real-world characteristics of automobile cornering. Real world tires aren't uniform, and they're elastic. Real world pavement isn't uniform, and it's bumpy. I could go into slip angle effects, but your eyes would probably glaze over and I'd be lucky to get half of the details correct. I've read about them and know the general concepts, but I'm sure those NASCAR tire engineers know things that I'll probably never learn. the equation as given in basic Physics classes is a very simplified equation which ignores the real-world characteristics of automobile cornering. Real world tires aren't uniform, and they're elastic. Real world pavement isn't uniform, and it's bumpy. The gory parts are the fun parts for the engineers Jack. Thus my post. A complex phenomenon indeed. The interplay of frictional coefficients between rubber and surface which vary with temperature, non linear material deformations causing slip angles and roll over, weighing and unweighing front to rear and side to side constantly changing the normal force on each tire, all happening dynamically in real time. Tire temp, air temp, track temp, track surface condition, tire compound, camber, sway bar settings, tire age/heat cycles and driver skill are all important parts of the equation as well. Track all of these as well as tire pressure and within a few events, you should have information that will assist you in optimizing your particular set up with regards to tire pressure. In a stock car, it's easier to track and adjust since you don't have as many variables. At the AX level, I'm happy if I can get within 1 to 1.5 pounds of the ideal tire pressure. With 4 runs, I'm probably going to have one of them at the optimum tire pressure. At the TT level, I have a lot more time to adjust and find the ideal tire pressure. It's also more consistent over time. Of all of the items I listed, driver skill is the most important. Try to get to what feels right and consistent, then play with adjustments. Keep in mind that every tire performs differently. Heat cycles also make a huge difference in grip levels and optimum set up. Lastly, we're not pro's, we just feel that way on the occasional semi perfect lap or even combination of corners. Just have fun and keep striving to go faster. Old Guy wrote: Experts, please enlighten the rest of us. Watching NASCAR, for example, they talk about making half pound or such adjustments to cure all sorts of oversteer, understeer and other handling problems. 1/2 pound. Honestly, gimme a break. Question: just what air gauges are they using? ?